This week's Tuesdays with Dorie (TWD) recipe was chosen by Peggy of Pantry Revisited: Brown Sugar Bundt Cake. It doesn't sound like anything special, but there is something to be said about brown sugar - I love anything flavored with brown sugar or caramel. The addition of prunes is quite unusual, and when my husband saw me making the cake he asked me, "You're making a cake... with prunes?!" I told him that I had made muffins not too long ago with prunes that he liked, but he had no recollection of prunes in anything I had made! I swapped out the fresh pears in the recipe for some apples, and the combination of apples and prunes was quite good. I know some may find the idea of prunes in a cake to be odd, but Dorie was really on to something when she came up with this cake. If you are absolutely against having prunes in your cake, you can also substitute other dried fruit such as raisins, dried apricots, or dried cranberries. This cake is extremely moist and the caramel undertone that the brown sugar gives it is delightful. The flavors definitely ripen if you're able to wait a day before cutting into it. Thanks Peggy for hosting this week. I'll definitely be making this one again! If you would like the recipe, you can find it here. 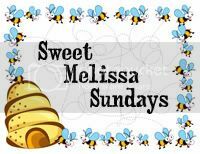 Make sure you check out the TWD Blogroll, to see how everyone else enjoyed this incredibly moist treat! Jaime, this one looks really moist! Might have to give this one a go....love that she uses prunes in it--nice change from the usual suspects of fruit! Gorgeous bundt! Hmmmm, I just may have to try the prune variation. Looks gorgeous! Love brown sugar! Didn't like the idea of prunes or dried fruit though. Still, it's been getting raves. Probably should have tried the recipe as it was written, huh? 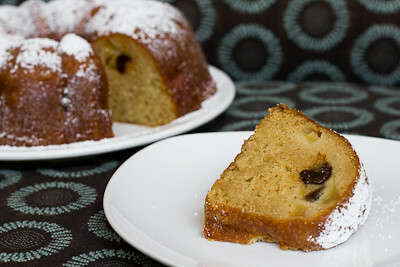 I would have never thought to put prunes in a bundt cake. I tend to randomly snack on prunes throughout the day because deep down inside I'm really 98yrs old. Bundt cake is one of those awesome things that you can customize with whatever you have on hand. This looks yummy! Your cake looks perfect. I halved it, baked it in a loaf pan and it sunk like crazy. But with that and all my other changes, it all got eaten and was really good. Your cake looks great - it would convert any prune skeptic. I personally love them, but didn't use them in my cake. Next time!